Macy Williams is from Farmington, MO, a small town an hour south of St. Louis. She attended the University of Nevada Las Vegas for undergraduate and graduate school. 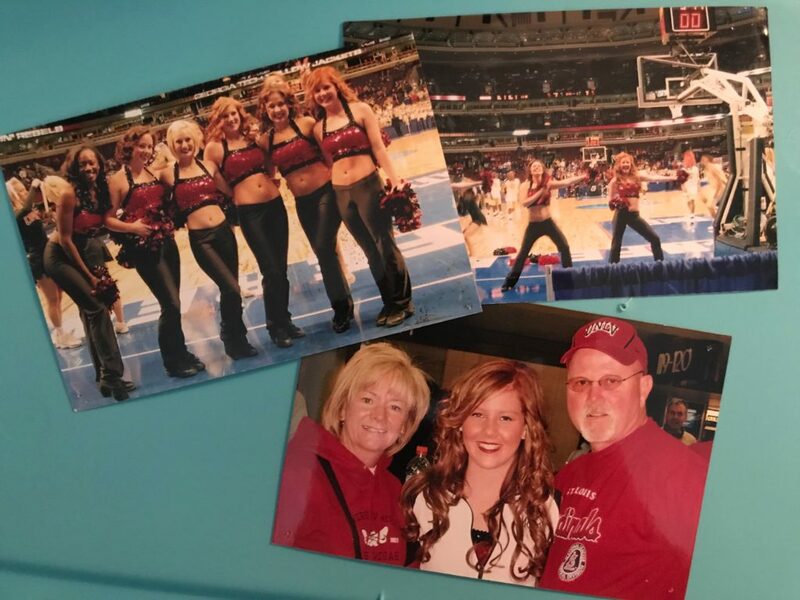 While in undergrad school she was a member of the UNLV Rebel Girl dance team. Macy looked forward to the team’s daily runs at practice. 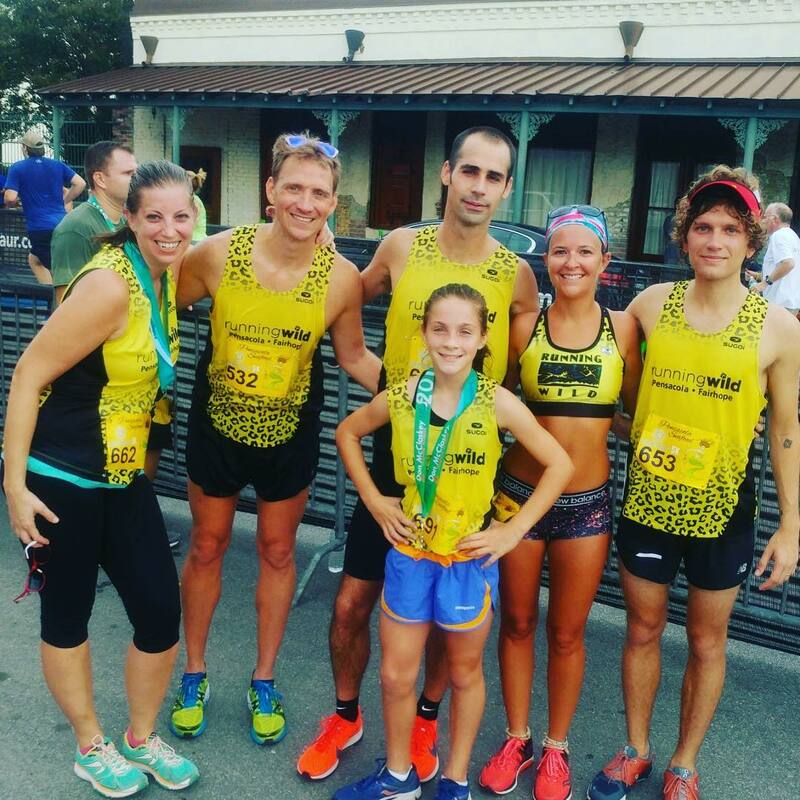 During graduate school Macy started to take running more seriously and ran her first race, a marathon and would complete her second marathon later that year. 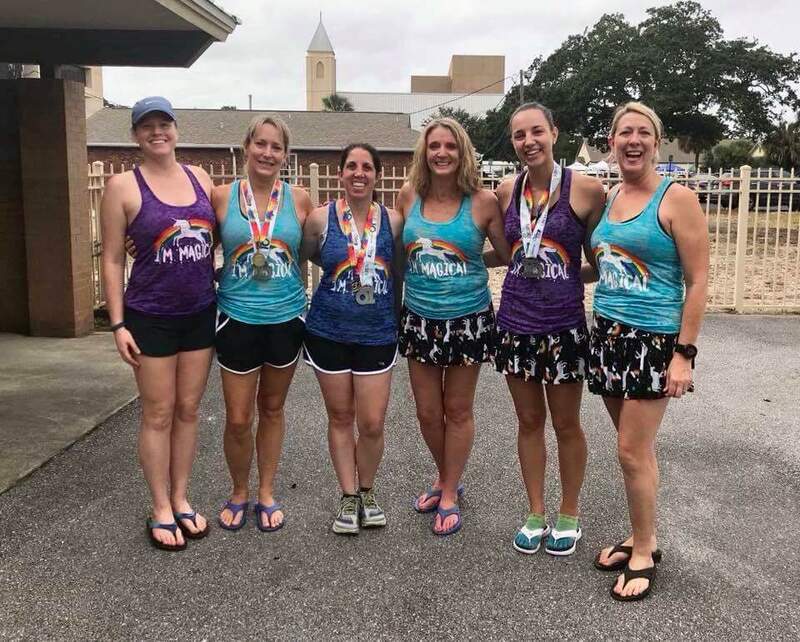 After graduating with her master’s degree in sports administration Macy took a job at a Division II conference in Russellville, AR, a town with barely any sidewalks that would require Macy to do a lot of early mornings runs on the roads while training for marathon #3. Eventually, her alma mater would be calling for her to return to Las Vegas to rejoin the UNLV Athletic Department for two more years until leaving college athletics and joining a private equity firm in Chicago, IL. After two years in Chicago, IL Macy moved to Pensacola, FL. 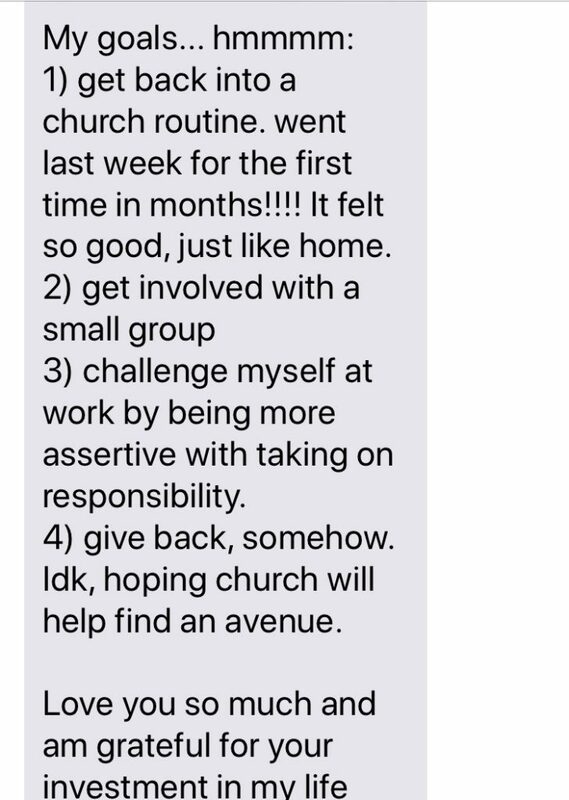 She currently works for Catalyst HRE, a healthcare real estate firm located in downtown Pensacola. 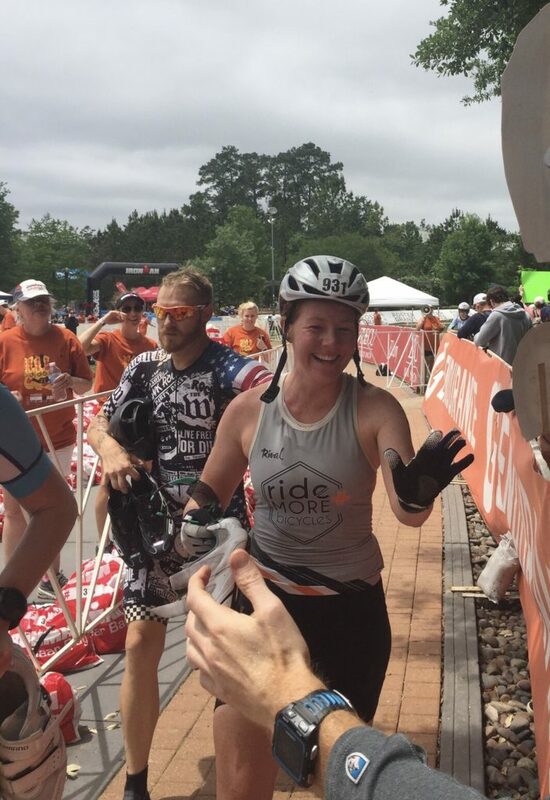 One thing that attracted Macy to her current company is its culture and people – they have runners, cyclists, triathletes and multiple Ironman on staff. Macy is a very active endurance athlete – during the week you can find her running 6@6 and getting in lots of miles on her bike. 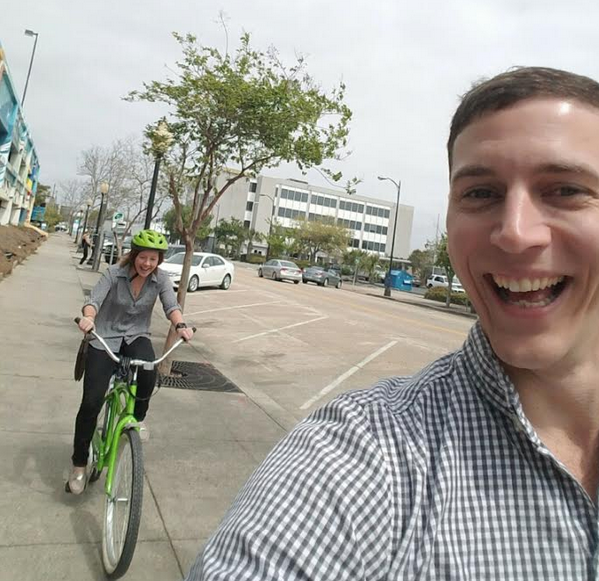 During the weekends she is either helping someone with a long run or long bike ride (she loves helping others accomplish their goals), doing the Ride More Bicycles shop ride, or racing her bike for Ride More Bicycles. Be sure to wave to Macy when you see her out on the roads – she is the energetic redhead! 1. In 2017 I completed Ironman Texas in 11:32:19 placing 10th in my age group. I enjoyed training for the Ironman and testing my mental and physical limits. Additionally, race day itself was so enjoyable I couldn’t stop smiling. 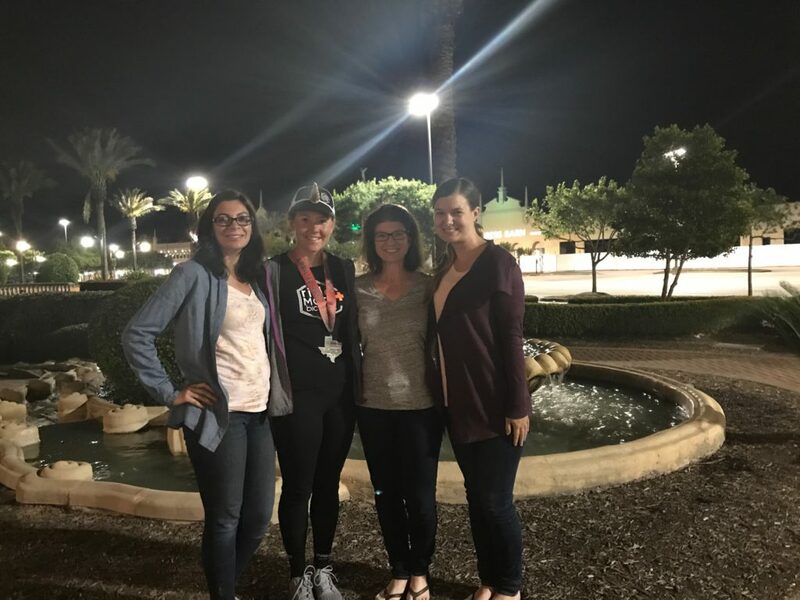 My three girlfriends surprised me and made the day extra special. 2. In 2012 I decided to go back to Missouri and run the St. Louis RNR Marathon. 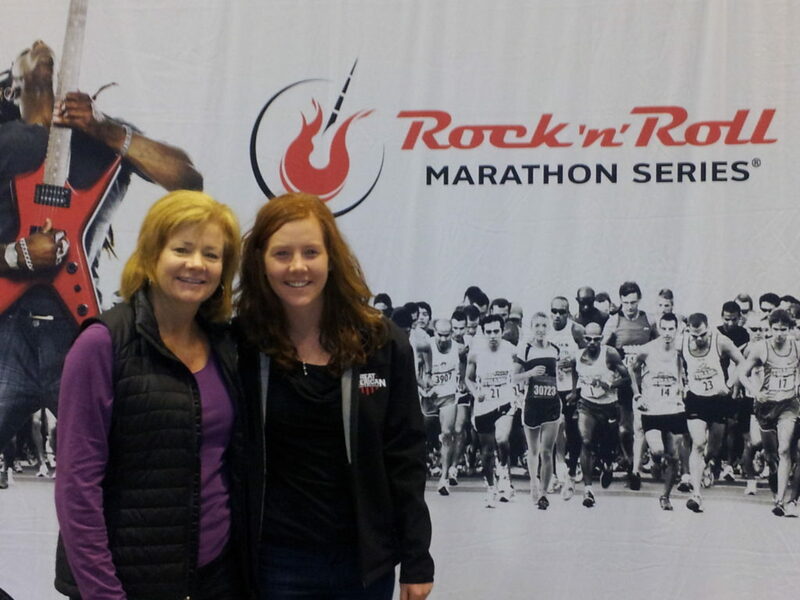 I convinced my mom to run the half marathon. 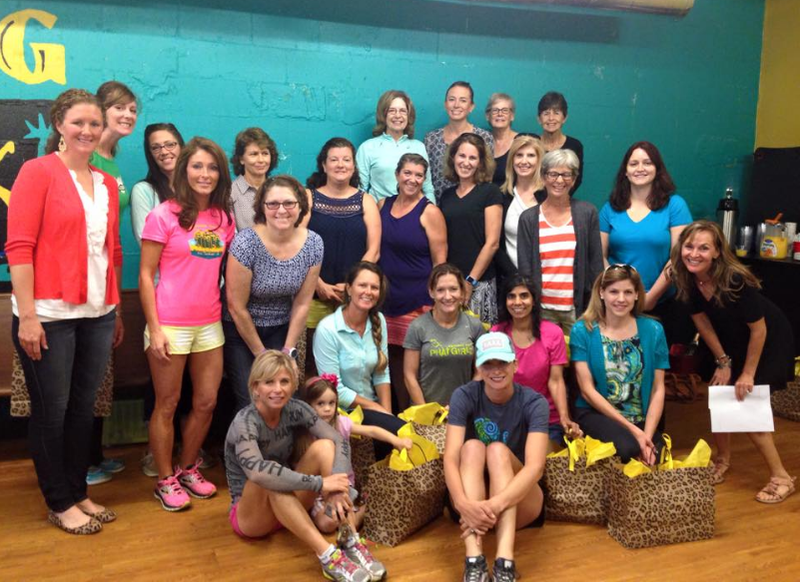 We had so much fun during race weekend attending the expo, going to dinner, and talking about the race afterward. It will be a marathon weekend I will never forget. 3. 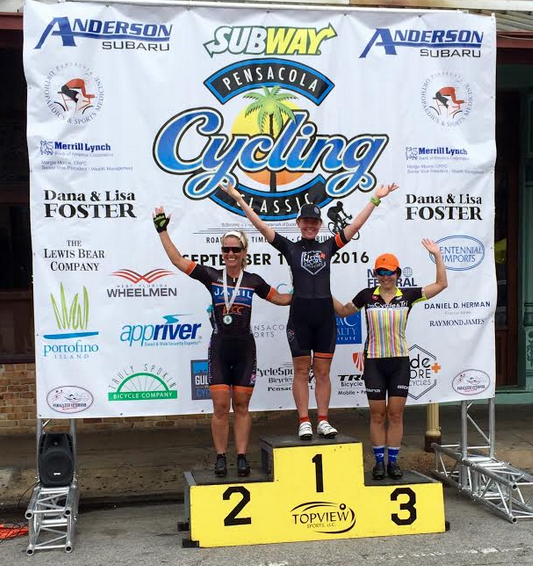 The 2016 Subway Pensacola Cycling Classic – This was my first bike race EVER. I had been riding bikes for six years and enjoyed it leisurely. 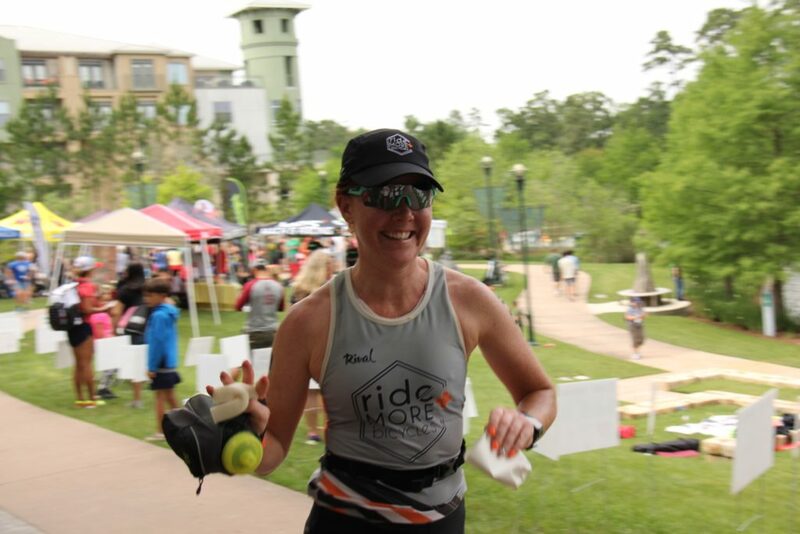 Since moving to Pensacola, the guys at Ride More Bicycles coached me up to race my first race, and I haven’t looked back since. 1) Running Shoes! I am a firm believer in having multiple pairs of shoes and switching it up. My favorites right now are Brooks Glycerin and Brooks Launch. 2) TriggerPoint Products! Roll, Roll, Roll! I have almost all of the products and they are key to helping me stay injury free and recover faster from all my workouts. 3) Endurolytes – WOW – I had no idea how badly I needed them. Cherie gave me some during a long run recently, and it was a game changer for this Florida weather! Go get some if you don’t have any! 4) Socks. I am very picky about what is on my feet! I have found that I like feetures! I have no blisters, and my feet are happy after a long run! 5) Amphipod handheld water bottle. I love this thing – it is so easy to run with! 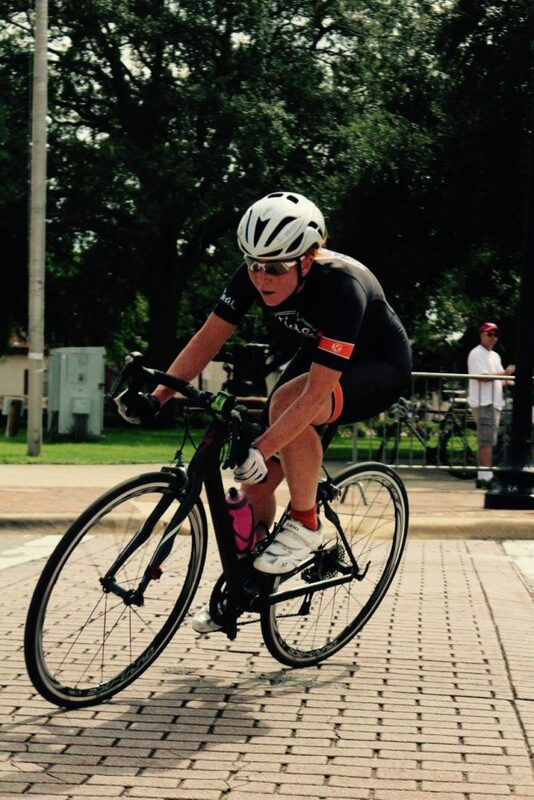 “Cycling – I am getting ready to compete on my bike in the upcoming road races throughout the SouthEast. 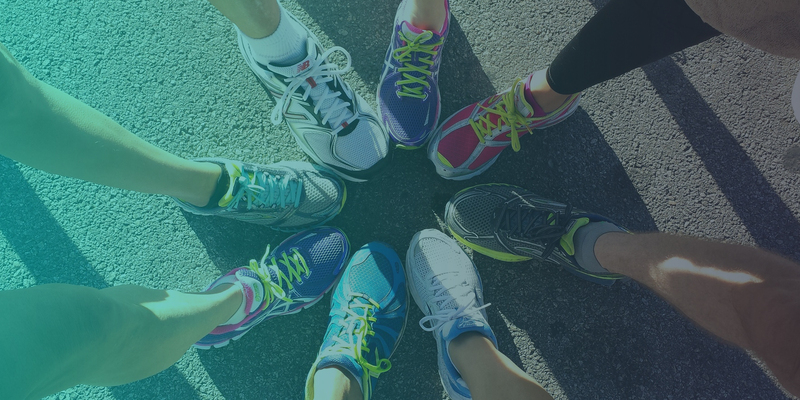 Running – I am coming back from plantar fasciitis and will be increasing my miles over the next couple of months. 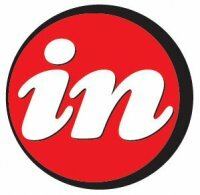 I would like to pick a fall or winter marathon to train for – any suggestions? 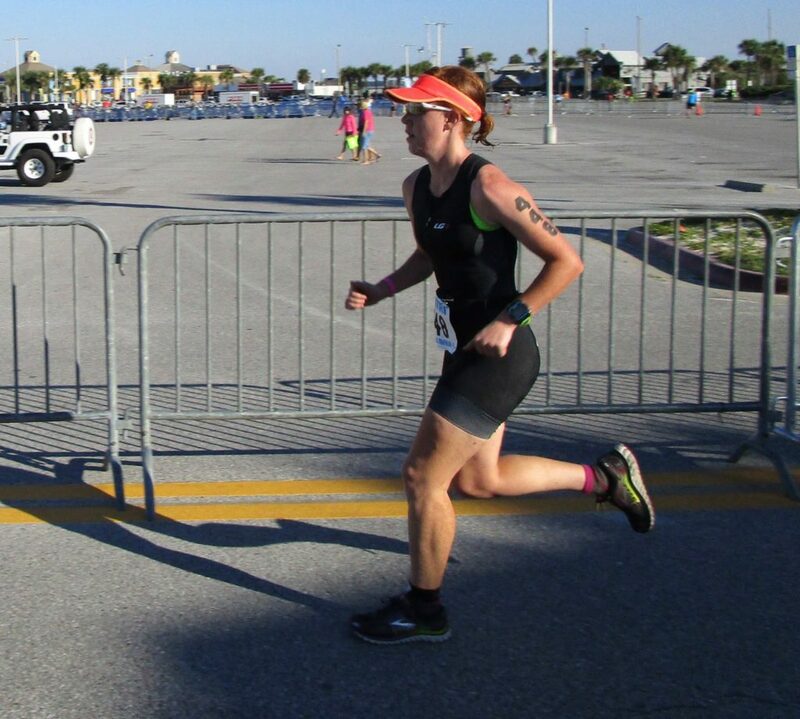 We admire Macy’s passion for running, cycling and triathlons! This cheetah can’t be stopped- roarrr!